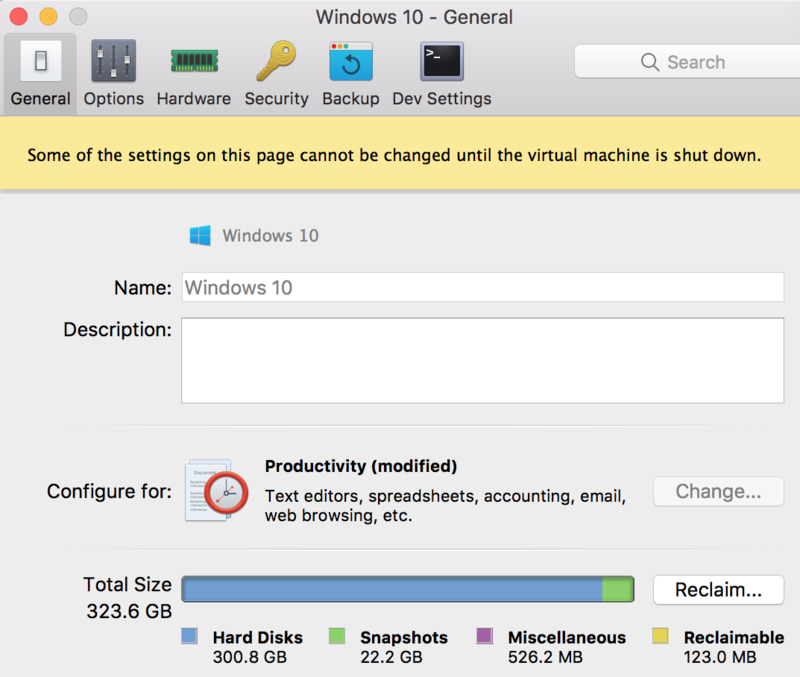 In Parallels Desktop 12.2.0 on MacOS 10.12.4, a Windows 10 VM is taking up over 170GB of mystery space. 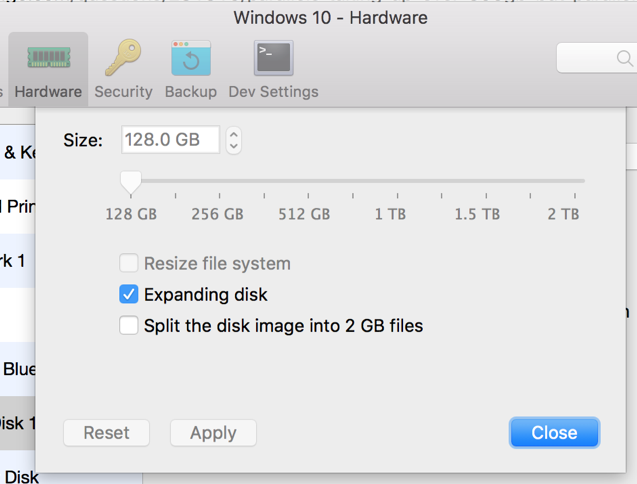 Windows only sees a 128GB drive. But Parallels claims to be using 300GB on hard disks. It's not snapshots-- Parallels reports only 22GB for snapshots. It's not multiple disks-- Parallels reports only one hard disk. 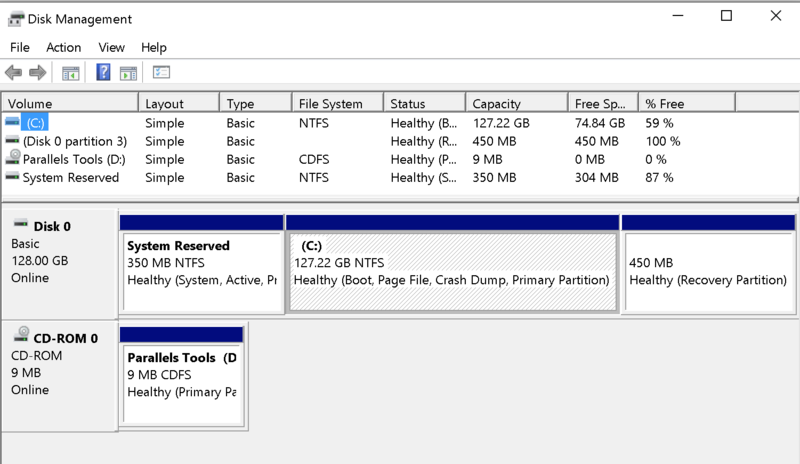 It's not unpartitioned space on the Windows side-- Windows reports no significant unpartitioned space. It's not multiple VMs because Parallels reports only one VM, which I've confirmed by seeing only one 346GB VM file in Finder. But the space is definitely getting chewed up, because my Mac is low on disk space. WTF? Anyone know where that mystery 170GB is being used, and how to free it up? After a long chat with Parallels support followed by my own investigation, it turns out that the mystery disk space is taken up by snapshots. But Parallels apparently has a bug where it's not correctly reporting the full disk space cost of snapshots. By deleting some snapshots I was able to reclaim much of the mystery disk space. in a Snapshots folder, which is what's measured by the green Snapshots area in the General tab of Parallels VM configuration. inside the .hdd file that contains the actual hard disk data. If you right-click on this file and choose Show Package Contents, you'll see one .hds file for each snapshot that you have stored. These files are not included in the green Snapshots area in the General tab of Parallels VM configuration. I deleted several old snapshots using the Snapshot manager, and that freed up 100GB in just a few minutes. Removing each snapshot removed one 10GB+ .hds file from inside the .hdd file. I was disappointed in Parallels for not accurately measuring the true disk cost of snapshots. Had Parallels correctly noted that snapshots were taking up 200GB vs. 128GB for real disk space, the solution (delete some snapshots, dummy!) would have been obvious. Instead I wasted hours trying to troubleshoot what could have been a simple problem to resolve. Not the answer you're looking for? 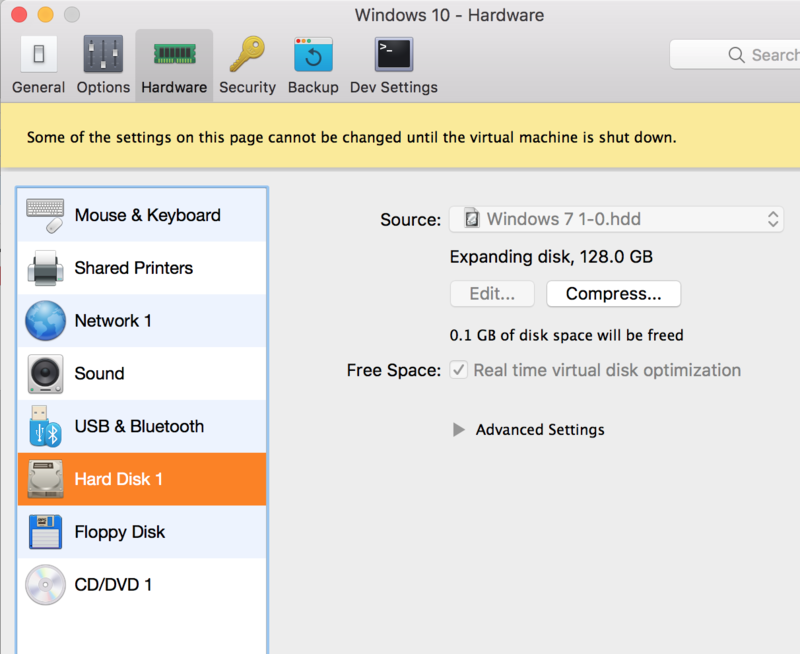 Browse other questions tagged virtualization parallels-desktop disk-space .